Aircraft maintenance hangers are one of the most difficult to find good flooring for due to the many hangar floor coating specifications. Arguments arise as to whether light coatings of greater than 16 mills, where one mil is equal to 0.001” or thicker film coatings of greater than 250 mils is correct. Then too, some quality control people prefer an overcoating sound coating system. Whichever method is utilized, there is at least complete agreement to the following: the hangar floor coating specifications absolutely must tolerate any high moisture vapor emanation rates, must produce a suitably level surface when it is laid over coarse concrete, must have a very high impact resistance, and most also agree that it should be a proper topcoat base for at least 10 years of service. 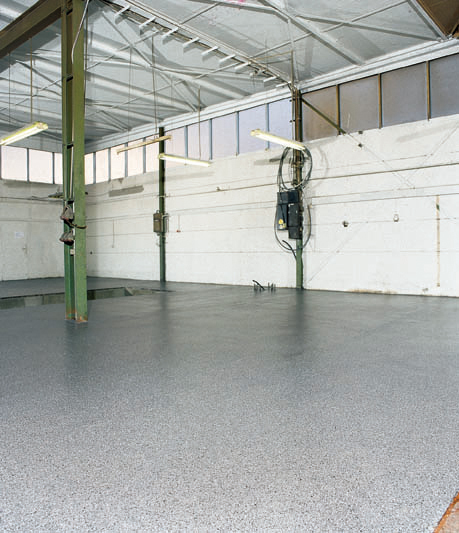 The chemical resistance of most topcoats requires that during the initial curing of said hangar floors, meaning the first two weeks of service, any chemical spills and even any drips need to be straightaway removed from the floor surfaces. Cardboard or plastic sheets need to be placed under each tire of the aircraft, as those tires may have become warm enough to create tire imprints on the new topcoat and permanently mark it. Further hangar floor coating specifications require that only light scrubbing or mopping be allowed for cleaning. No organic solvents, abrasive particle cleansers, high pH alkali cleansers, or detergents that may contain bleach or low pH acids may be used on such flooring. If you have read the above so far, how would you like to simply throw those entire hangar floor coating specifications out the window? If instead of the other kinds of flooring possibilities you utilize Silikal in its place you may do that very thing with complete impunity. 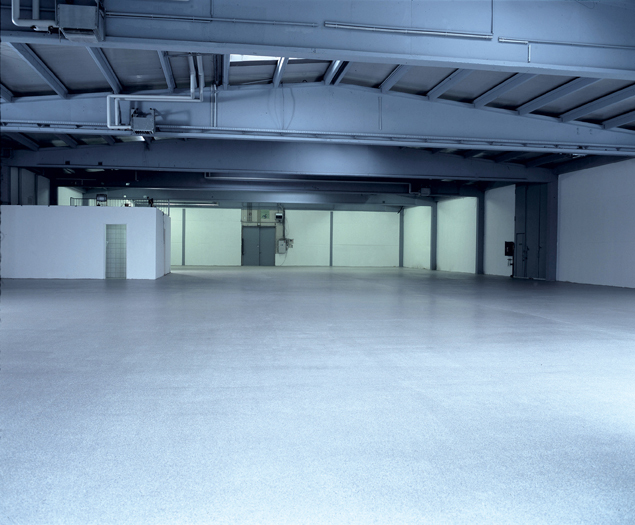 The Silikal aircraft hangar floor coating will provide the high performance being sought, for the Silikal flooring will resist all those grueling aviation chemicals as well as jet fuels within one hour following installation. Then too, Silikal aircraft hangar floor coatings will also enhance the light reflectivity of the hangar without succumbing to UV fading, and that is important for both workplace efficiency as well as safety. In addition, the floor will be very stress-free to clean, which saves both time and money. Hangar owners as well as contractors believed that only high solvent resisting coatings had to be used for aircraft hangar floor coatings, but now the greater majority has learned about the high performance product called Silikal which is a low solvent content flooring. Thanks to Silikal, hangar floors are now left with flooring that will hold up to the heavy loads as well as the mechanical abrasion found in hangars. Those hangar floors that utilized the Silikal competitors in the past have unsightly and uneven floors. Only Silikal floors are perfectly even and last for years and years – so long in fact we have yet to determine just how long as Silikal floors installed decades ago are still shining like new!